Como en todas las ramas de las FAS, está claro que los "no tripulados" son interesantísimos y a futuro no harán si no expandirse. En la Unión Soviética durante la década de 1930 el Ejército Rojo con la ayuda de oficiales alemanes participaban en el desarrollo del uso de tanques en base a vehículos de segunda generación que montaban el armamento principal en torretas. Tambien experimentaban con diferentes configuraciones de chasis y transmisión. Antes del comienzo de la Seguna Guerra Mundial, el desarrollo doctrinal de la guerra acorazada estaba todavía en desarrollo, la opinión dividida entre los partidarios de la infantería como arma de combate principal, y aquellos argumentando que la infantería se convertiría en el soporte de las fuerzas blindadas más móviles. El uso de la guerra acorazada se puso a prueba durante la Guerra Civil 1936-39 y en el conflicto fronterizo de 1938 entre La URRS y Japon. Parece que Rusia, de nuevo, lidera en un nuevo concepto para el campo de batalla. Silver Surfer escribió: En la Unión Soviética durante la década de 1930 el Ejército Rojo con la ayuda de oficiales alemanes participaban en el desarrollo del uso de tanques en base a vehículos de segunda generación que montaban el armamento principal en torretas. Tambien experimentaban con diferentes configuraciones de chasis y transmisión. Antes del comienzo de la Seguna Guerra Mundial, el desarrollo doctrinal de la guerra acorazada estaba todavía en desarrollo, la opinión dividida entre los partidarios de la infantería como arma de combate principal, y aquellos argumentando que la infantería se convertiría en el soporte de las fuerzas blindadas más móviles. El uso de la guerra acorazada se puso a prueba durante la Guerra Civil 1936-39 y en el conflicto fronterizo de 1938 entre La URRS y Japon. Parece que Rusia, de nuevo, lidera en un nuevo concepto para el campo de batalla. Fue pura suerte entonces que el "teletank" hizo su aparicion en Finlandia y no en las fases finales de la guerra civil española. Sin duda, una idea futurista que lamentablemente murió con el propio concepto del T-26. Al igual que con muchos otros ejemplos históricos que podemos ver, por ejemplo en el hilo Primera Guerra Mundial, eran enfoques revolucionarios que carecían de la tecnología suficiente para apoyarlos en su desarrollo. En el caso del "teletank" cabe destacar que falta un sensor capaz de proporcionar información al operador. Esta fue la teleoperación robótica en su forma más cruda, su valor de combate se limita a proporcionar apoyo de fuego indiscriminado e impreciso. Una vez más, al igual que con muchos otros ejemplos tempranos, la tecnología de sensores y comunicación están llegando a reivindicar su valor en el campo de batalla moderno. Creo que en la muerte del francotirador de Dallas, es la primera vez que se usa un vehículo de este tipo cargado de explosivos. Muy interesante. Y es que eso tiene que llegar en algún momento. This teeny little robot is the size of a toy truck — just 50 square inches. It’d be cute, almost, if it wasn’t armed with “dozens” of eight-inch rockets. The world’s militaries have been gun-shy about letting armed robots roam around the battlefield; they’re always a danger the machines will malfunction and ruin some pesky human’s day. But Rafael, Israel’s state-owned arms-maker, is betting that its miniature Pincher robot might be allowed into warzones as a tool for neutralizing roadside bombs. “Instead of detona*tion, where the speed of the shockwave is ul*trasonic, we developed a special material that causes deflagration, where the speed of the shockwave is subsonic and does not cause sig*nificant damage,” Rafael’s Ram Fabian tells Opall-Rome. The Pincher has a range of 100 feet, maybe. An onboard camera looks for bombs, and helps remote operators aim the pencil-missiles. It’s not Israel’s first attempt at a tiny killer robot. 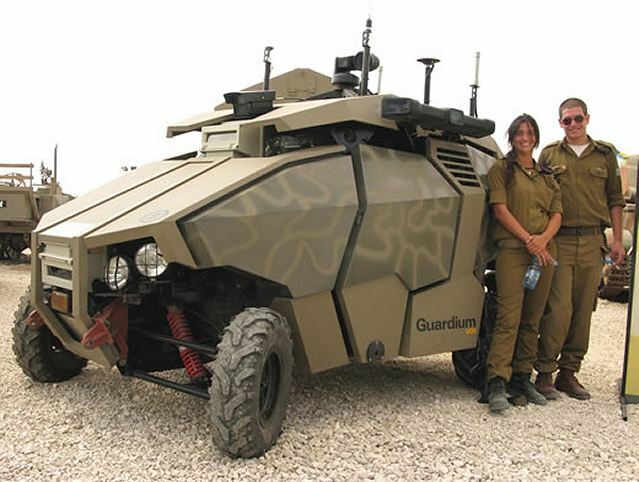 In 2007, the Elbit corporation unveiled its 18-inch VIPeR (”Versatile, Intelligent, Portable Robot”), equipped with a “9 mm mini-Uzi.” The machine never made much of a splash. But Rafael has high hopes for the Pincher. The Israel-focused military site Defense Update even suggests the ‘bot could be “used indoors to seek targets, locate and deactivate IEDs.” Just make sure some kid doesn’t pick it up and put it in his toybox afterward. During Elbit Systems' latest exhibition displaying advanced land and C4I solutions, the Company launched two new members of the VIPeR family of intelligent and portable robots: Mini-VIPeR and Maxi-VIPeR, which join the combat-proven VIPeR robot, already operational in the Israel Defense Forces under the Hebrew name "Pazit." 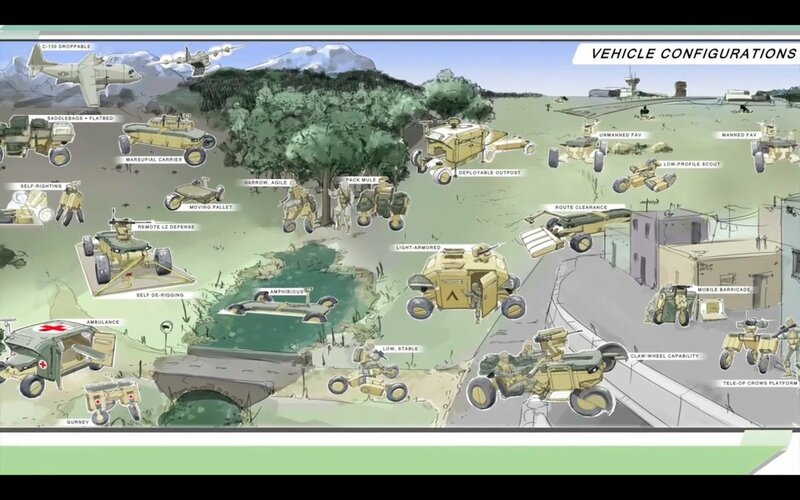 Building on Elbit Systems' extensive experience and know-how in the unmanned systems field, and using a common control system, the robots feature intuitive operation and enable real-time reconnaissance, in addition to arena clearing, in-building mapping, decoy and screening functions. 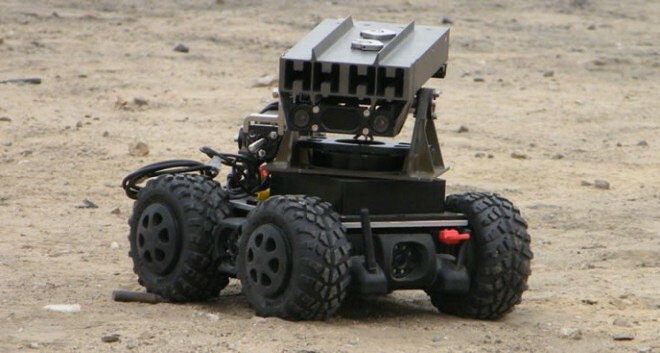 The Mini-VIPeR robot is an extremely light-weight one-person portable system (weighing approximately 3.5 kg), equipped with advanced sensors that allow full operation in various adverse terrains, as well as allowing ground forces to survey structures before entering by literally throwing the robot through the window or into a dark tunnel. The larger compact robot, Maxi-VIPeR, allows the disarming of explosives and handling radioactive materials using its robotic arm and the various advanced sensors. 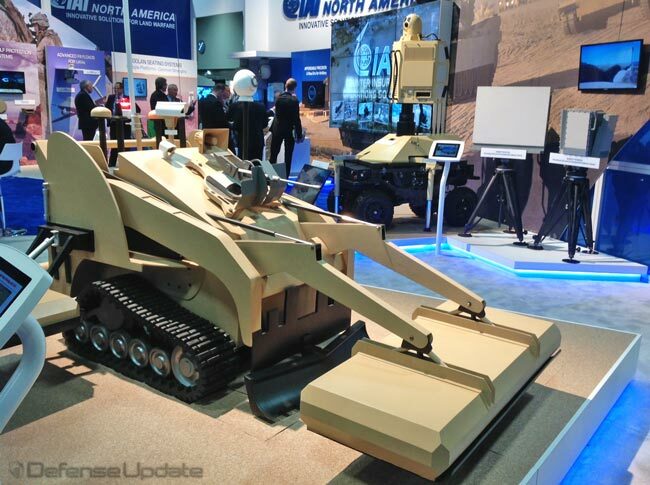 Designed to reduce the danger to the dismounted force during different phases of combat, the VIPeR family of robots can take on many of the challenges faced by land warriors engaged in today's low intensity conflicts (LIC). Portable and highly mobile, the robots are configurable for multiple types of missions by add-on sensors, modules and payloads, tailored to specific tasks. As a future load carrier supporting dismounted forces. IAI is introducing a small robotic platform called REX, designed to support infantry teams in dismounted operations. The robotic platform employs a simplified, specially developed method to recognize the path of its leading soldier, following the team’s path with high accuracy using ‘virtual bread crumbs’ the leading soldier leaves behind him. REX’s dimensions and shape were determined to enable the robot efficient integration with common infantry tasks, such as entry into a building (narrow enough to move through doors) or jump from helicopters (the REX fits nicely inside a Blackhawk). Currently in final integration phases at IAI’s robotics department, part of the LAHAV division, REX has already been presented to potential customers and have raised considerable interest. Offloaded from its cargo, REX can be quickly reconfigured to evacuate a wounded soldier on a stretcher. The vehicle’s flatbed already has the attachments to secure the stretcher in place for such mission. According to program manager Uri Paz-Meidan, the small and compact robot was designed to support dismounted infantrymen by carrying various combat loads and supplies, offloading the warfighter from excess, non-combat loads currently carried on a mission. Such load generally includes food and water for extended mission, additional ammunition and many spare batteries of various types, to last the entire mission, as well as relatively heavy mission equipment such as man portable rockets and missiles, observation systems etc. In fact, the small robot is designed to support the modern infantry system, which adds much functionality to the warfighter’s mission but also increases the load weight. To sustain long operations REX will also be configured with battery storage bay and on-board charger feeding on the vehicle’s generated power to maintain a supply of fully charged batteries, reducing man-portable and consumption of spare batteries. REX is designed as an all terrain 4×4 vehicle powered by a piston engine. The platform weighing about 150 kg can carry 250 kg load, enough to support an infantry squad on a 72 our mission. REX carries enough fuel to move over 100 km. Part of its load can include extra fuel to further extend operational endurance. IAI is positioning itself to respond to a growing ‘ground robotics trend’ by tapping into its unmanned aerospace experience, company officials have announced. 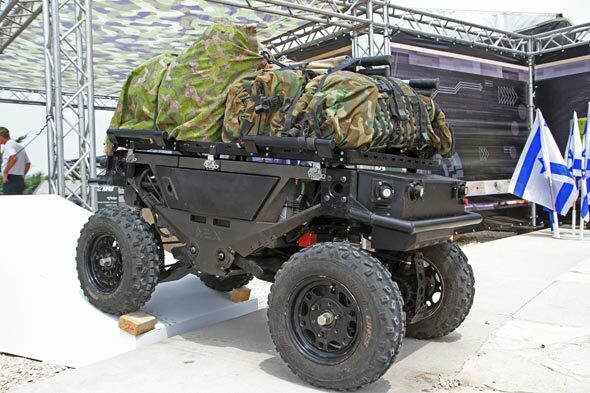 Following its experience developing the Guardium UGV with Elbit through their joint venture G-Nius, Uri Paz-Meidan, project manager of the Lahav division of the military aircraft group at IAI told Shephard at a briefing in Tel Aviv on 18 March: 'Today, [ground robotics[ is not big for IAI, but according to our analysis it will be. IAI is an aerospace company, but ground-based robotics will grow. ‘We are coming from the strengths of developing these platforms,' Roni Segal, corporate VP and GM for IAI Military aircraft, explained. 'Usually companies buy payloads from another company; the name of the game is the integration of these. We have the know-how of integrating these systems. I believe the coming missions will demand more combinations of different types of platforms and capabilities. I think ground robotics will be the story in a few years time,’ he continued. Describing IAI as 'pioneers in this integration' from UAVs to UGVs, Segal did however concede that it would not be an easy path to follow. The company has just finished the R&D of its Rex load-carrying UGV programme- a system that follows the user so that they are 'not using all the cognitive resources of the soldier', Paz-Meidan explained. 'It is very complex to meet the walking speed of a soldier. It needs a very slow and adaptable gear box. We took a different approach and developed a system that is as light as possible. 'We jumped almost immediately into a mature prototype design,' Segal added while describing how it was currently in the manufacturing stage with contracts anticipated in the short-term. 'The IDF is familiar with the product,' Paz-Meidan explained. Meanwhile the company's TaxiBot autonomous taxiing system prototype is in the final integration and testing stage, and is due to be trialled aboard an Airbus platform in May this year. 'The pilot controls the vehicle and drives it like driving a plane. 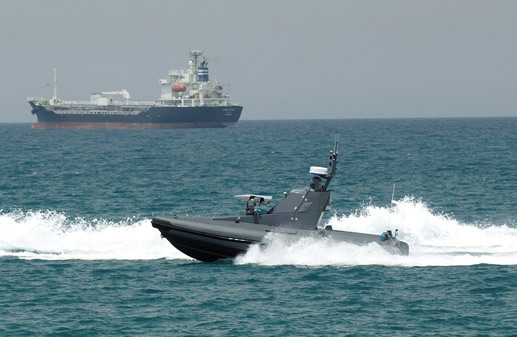 It's a very sophisticated system with autonomous capabilities,' Paz-Meidan explained. The company will be in a position to sell the system in 2013, but it is struggling to prove to customers the benefits of such a system, and aviation authorities are not accepting fully-autonomous systems on runways, he continued. Nevertheless, IAI is confident that the rising cost of taxiing by 2020 will increase the demand for such a capability. Gracias por el artículo citado. No estaba al día; me interesa especialmente cómo IAI, alejada del sector, ve en los UGV un campo de crecimiento seguro y apuesta por ello. Es un tema que me interesa especialmente, porque asumo que el ejército que los incorpore en sus operaciones aumentará sus capacidades a la vez que disminuye las bajas propias. Me refiero a UGV de tamaño moderado y equipados con armamento de sección. Siguiendo ciertas propuestas publicadas por DARPA (con todo lo que conlleva de vapor y de futurible), diría que si los UGV van a poder cargar parte de los equipos de un pelotón, también pueden llevar un arma de escuadra y adelantarse a la misma, o bien torcer una esquina o aparecer en línea de visión de un adversario y enfrentarlo sin miedo a pérdidas propias, con el operador a salvo tras un obstáculo. Esos cinco artículos describen en forma general como van marchando esas tecnologías en Israel. Es una pena no poder conseguirlos en español, porque hay muy buen material también sobre los progresos en UGVs en EE.UU, Reino Unido y Rusia, que son básicamente los que van a la vanguardia en el tema. ..me interesa especialmente cómo IAI, alejada del sector, ve en los UGV un campo de crecimiento seguro y apuesta por ello. IAI ya se ha convertido en un monstruo de siete cabezas, y no hay sector militar en el que no tenga participación activa. En el caso de los UGVs, los comercializa dentro de lo que seria IAI Ramta's Division. De cualquier forma, aunque hay muchos proyectos en marcha y varios prototipos de varias categorías de UGVs en pruebas desde hace muchos años, es muy poco lo que han logrado venderle a Tzahal, cuyos estrategas aun no ven a estas tecnologías suficientemente maduras como para adquirirlas en grandes números. De hecho, la industria de drones ha tenido mas éxito en convencer a la Armada de las bondades de los USVs como el Katana de IAI o el Protector de Rafael Industries de lo que consiguieron a la hora de convencer a la fuerza de tierra de adquirir UGVs como el Guardian (mas alla de lo poco que adquirieron para evaluación). La única excepción es quizás la aplicada al desminado, como el prototipo de la foto que ha despertado mucho interés. Abajo el IAI Katana y el Protector de Rafael.